You're definitely not too old for these, if fact they were designed especially for you. 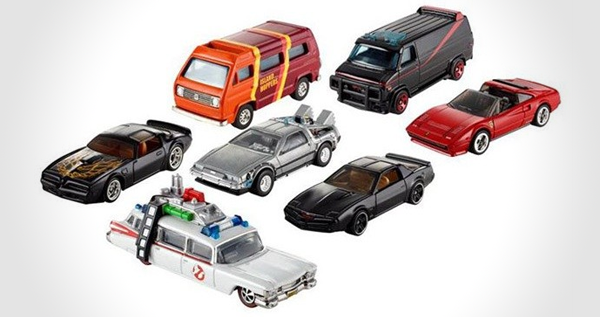 The new series of officially licensed cars from Hot Wheels. The Retro Entertainment Series includes... The DeLorean from Back to the Future, K.I.T.T. from Knight Rider, the GMC A-team van, the Ectomobile, the Pontiac Firebird from Smokey and the Bandit plus many many more.